Your local storage facility is Woking. Situated in a great location in Surrey, the local Woking branch is the first choice for your storage needs, providing personal and business storage solutions. This service also covers Chobham, Chertsey, Lightwater, Guildford and other surrounding towns and villages. Titan Storage has been rated 9.6 out of 10 based on 152 customer reviews on TrustPilot. 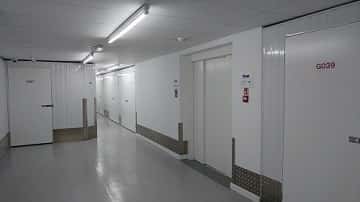 Titan Storage Woking customers can access their storage within the facility 24 hours a day, seven days a week. Looking for self-storage in Mayford? 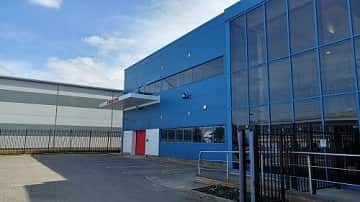 Our clean and modern Woking storage facility is your nearest site conveniently located just a short 15 minute drive away from Mayford town centre. If you’re looking to expand your business and need storage space for archiving and stock, or you’re simply moving into a new house, we have the right solution at a price that can suit you. There’s plenty of customer parking, including a loading bay and trollies making it easy to unload and load your possessions with ease. Begin your journey by heading north out of Mayford on the Edgley Road (A320). Head straight over the following roundabout to continue on the A320 (Guildford Road). Turn right onto Victoria Road after passing Evans Cycles and then bear left onto Station Approach. Shortly afterwards, turn left onto Oriental Road and continue over the first roundabout. Afterwards, take the 1st exit at the roundabout onto Maybury Hill, which then turns into Monument Road. Turn right onto Albert Drive and, just after West Horsley Dairy, turn right onto Forsyth Road. From there, simply follow signs to Titan Storage Solutions Woking.